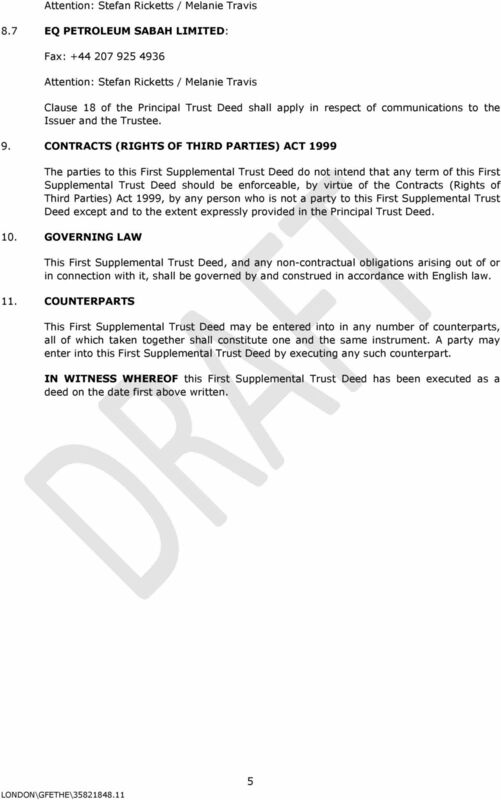 Download "First Supplemental Trust Deed"
27 April 2010. E.M.I.S. FINANCE B.V. as Issuer. and. TMF TRUSTEE LIMITED as Trustee. and. THE BANK OF NEW YORK MELLON as Principal Paying Agent. 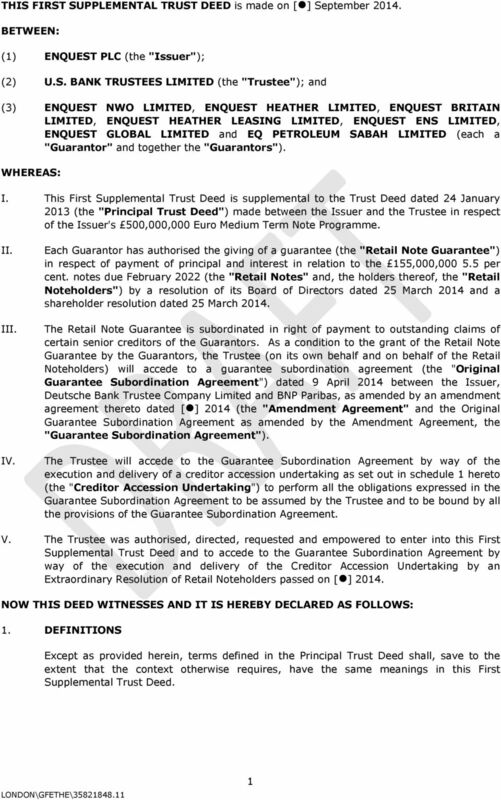 TRUST DEED DATED 15 NOVEMBER 2013 TELECOM ITALIA FINANCE S.A. 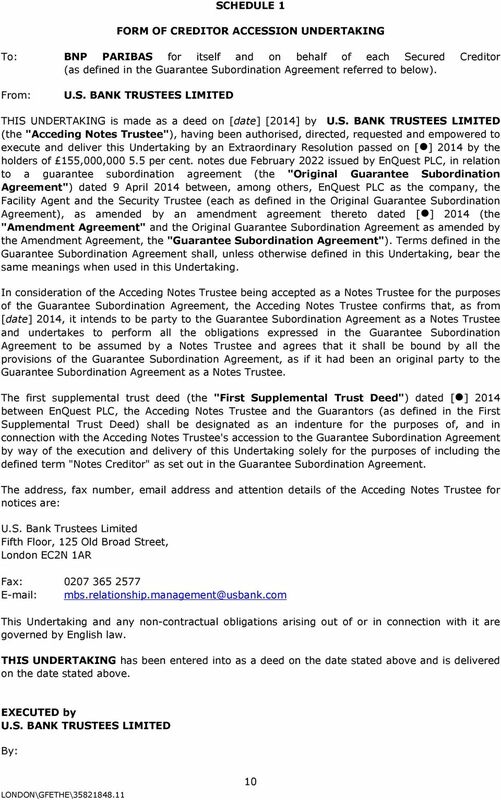 DATED 2014 EMMIT PLC 5 PER CENT CONVERTIBLE UNSECURED LOAN NOTE 2017 1 CONVERTIBLE LOAN NOTE executed as a deed and dated 2014 by EMMIT PLC, a company registered in England and Wales under Company No. AMENDING AGREEMENT TO TRUST DEED. 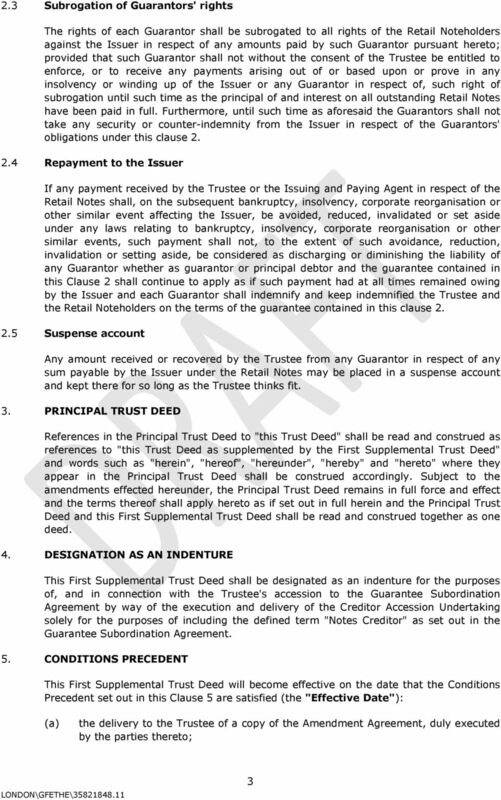 THIS AMENDING AGREEMENT TO TRUST DEED (this Agreement ) is made as of the 17 th day of December, 2014. Dated 26 March 2015. Trust Deed. 2,000,000,000 1.125 per cent. Equity-Linked Bonds due 2022. between. Telecom Italia S.p.A. as Issuer. 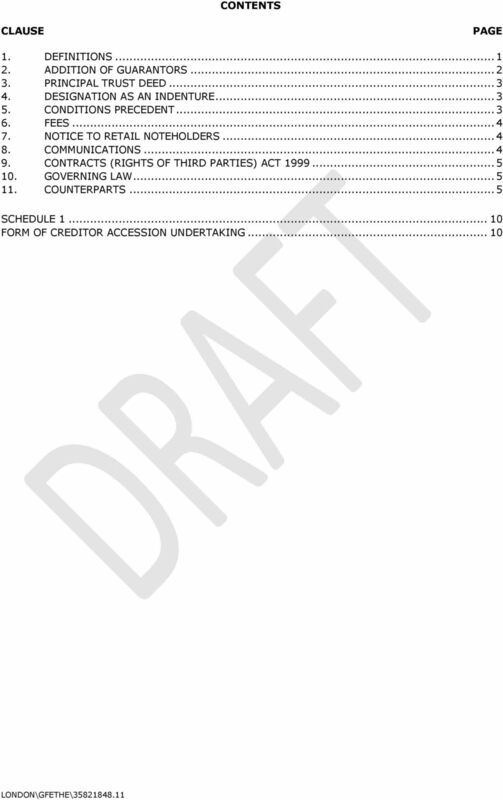 AMENDED AND RESTATED TRUST DEED RELATING TO A GLOBAL COVERED BOND PROGRAMME. DATED July 31, 2015. ROYAL BANK OF CANADA as Issuer. Dated 28 January 2011 PCD STORES (GROUP) LIMITED. as Issuer. 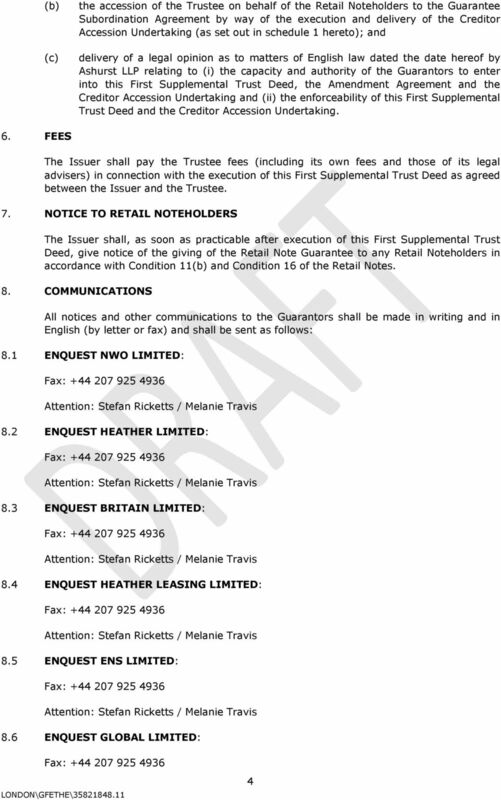 and THE SUBSIDIARY GUARANTORS NAMED IN SCHEDULE 5 HEREIN. 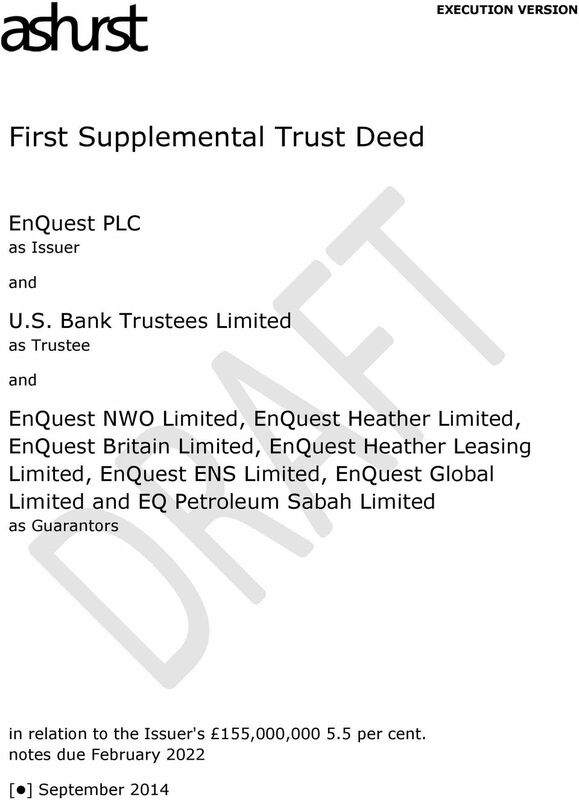 as Subsidiary Guarantors.